A bit of sad news to report with the passing of Fred White. Fred was Bob’s ‘partner in crime’ and the master of the Southbend lathe. 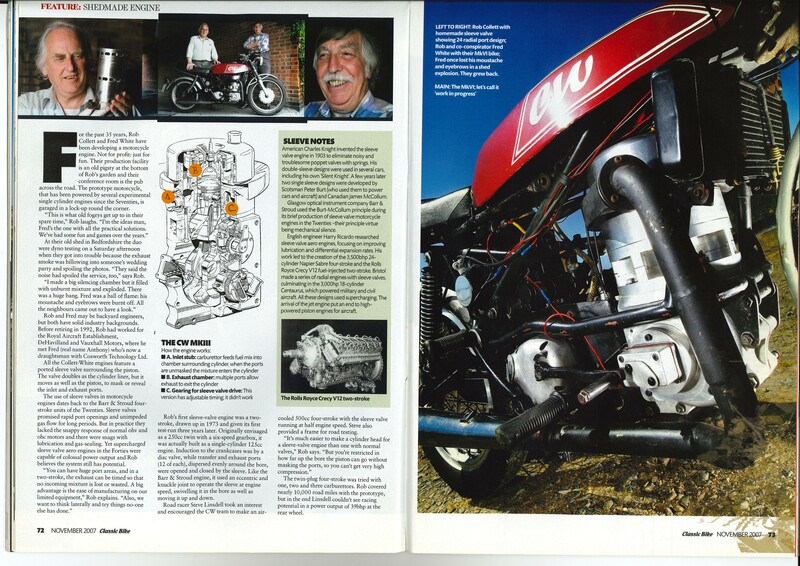 He worked with Bob professionally and in retirement, taking a major part in the creation of many home built engines. The article from Classic Bike Magazine gives a much better idea of their record than I can, so I’ll leave the details up to them. I only met Fred once but we got on right away and I was really pleased to have him on board for project Hercules. I guess he’ll just have to watch on from above now.